Item # 307847 Stash Points: 3,995 (?) This is the number of points you get in The Zumiez Stash for purchasing this item. Stash points are redeemable for exclusive rewards only available to Zumiez Stash members. To redeem your points check out the rewards catalog on thestash.zumiez.com. 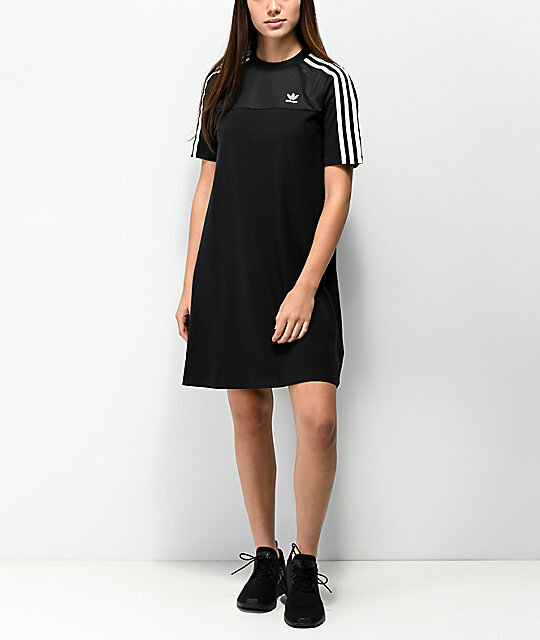 Represent your favorite sportswear brand in a cute and feminine way with the Black Mesh T-Shirt Dress from adidas. 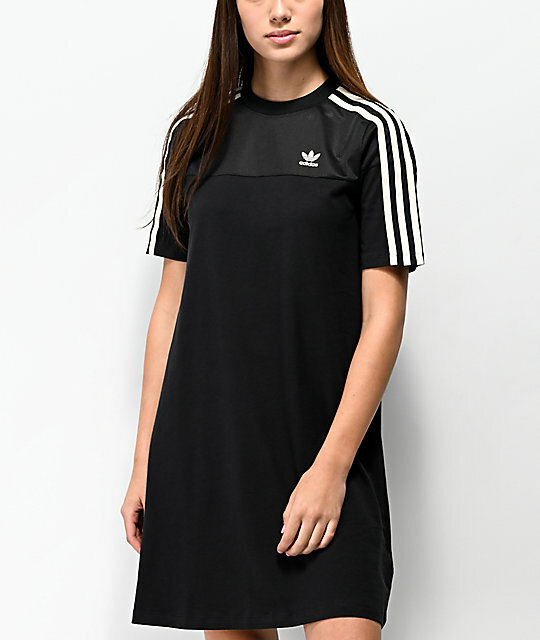 This t-shirt dress comes in black, with white adidas branding throughout. A hint of mesh is added or the chest and shoulders for a sheer effect, while the relaxed fit and mid-thigh length offers a fun, sporty look that's a must-have for any adidas fan. 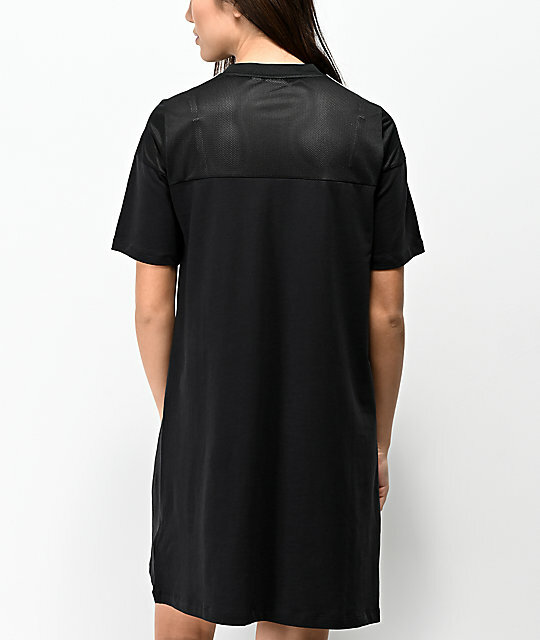 Black Mesh T-Shirt Dress from adidas. Mesh panel at the shoulders and chest. 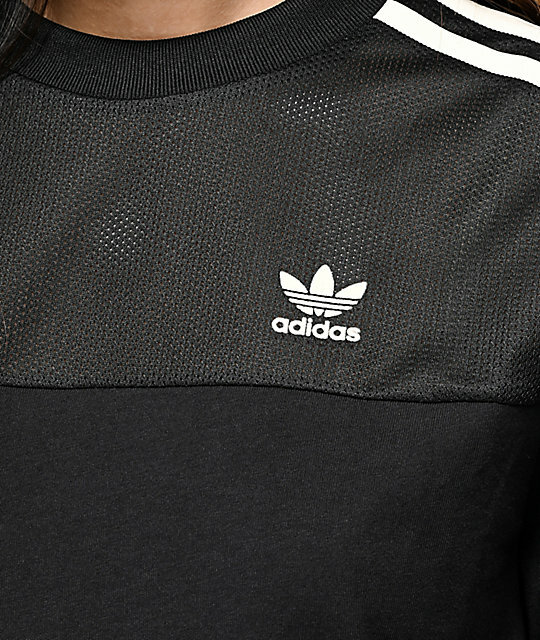 Flocked Trefoil logo at the left chest.